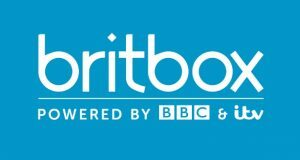 BritBox – Too Little Too Late? ITV’s Carolyn McCall has defended the broadcaster’s SVOD service with the BBC, BritBox UK, saying the endeavour is sufficiently “distinctive” and will be “liberating” for producers. Unveiled a month ago by McCall, BritBox UK is intended to be the British equivalent of the eponymous two-year-old US SVOD, offering both archive content and originals. However, its roll-out strategy has been heavily scrutinised by the industry, many of whom question why viewers will want to subscribe to the service on top of their BBC license fee, and whether it will get crucial buy-in from content-makers required to extend their second windows. Further complicating matters is the BBC’s plans to extend the 30-day window for its iPlayer catch-up service to 12 months, in addition to a deal that saw the BBC recently selling 700 hours of box sets to Sky. Speaking at a Broadcasting Press Guild event on Thursday (28 March), McCall assured that BritBox UK’s strategy is “definitely distinctive and different”, highlighting that the SVOD is simply giving a platform for content that would have otherwise “gone dark”. “Currently, the BBC has those rights, and what happens is [a show] goes up on iPlayer from the last episode and [after 30 days] it goes dark between 12 and 18 months, so no one gets it. McCall brushed off the Sky deal, noting that the broadcaster was “not blind-sighted” by the agreement and highlighting that “those are [old] boxsets. I’m talking about the future”. She also said discussions were underway with producers around rights and window extensions. The former EasyJet CEO allowed that “a lot has to be done” ahead of launch “and that’s partly why this has never been done before”. “This is difficult to do because [both ITV and the BBC] have content rights all over the place,” she said. While acknowledging that “scripted content will drive new [subscribers]”, the exec also pointed out that because 70% of the ITV Studios production output is unscripted – one high-profile offering being Love Island – it could “very easily” be a focus for the platform. McCall also suggested that international co-productions could be on the cards for BritBox UK, though she stressed that “Netflix’s model and ambition is so different to ours. The broadcaster will have a small team of commissioners ordering programmes for the service, McCall added. The business confirmed previously that BritBox US SVP of creative and editorial Reemah Sakaan will oversee the British service. The BPG event came just two weeks after hit format Love Island came under intense scrutiny for its aftercare practices, following the suicide of its second former contestant in eight months. The exec cautioned, however, that it would be “extremely tenuous” to make a direct link between Mike Thalassitis’s suicide and the show “considering he was very happy on Love Island and all his mates have said that. And he’s done two other reality shows since then in the two-year gap. “We can do everything we can to look after people and ensure duty of care, but you can’t do that forever,” she said. Asked about the future of ITV’s Jeremy Clarkson-fronted Who Wants To Be A Millionaire?, the exec said there were no plans so far for the show, which recently wrapped its second series, to return. In response to a question by TBI about how the broadcaster justified Clarkson’s participation in the show, despite leaving the BBC due to assaulting a producer, McCall said she is “not accountable for what he did on the BBC” but that it was the “wrong outcome”. McCall highlighted that ITV has a “whole load of scenarios” in place for the outcome of Brexit, which was initially meant to be triggered tomorrow (29 March), but has now been delayed. “We don’t have to change our business model in any way because of Brexit but we certainly have to keep a very close eye on what’s happening to our [advertiser] clients,” she said.